After initially backing the Stop Online Piracy Act (SOPA), the Business Software Alliance (BSA), which counts the likes of Apple, Microsoft, Adobe, Intel, Dell, Symantec and 23 other tech companies among its members, has withdrawn their support saying that valid and important questions concerning the bill have been raised and need answers. In a statement released on Monday evening, BSA president and CEO Robert Holleyman said the alliance agreed with the basic goals but wanted a House Judiciary Committee to investigate whether the hotly debated and controversial legislation will cause unintended consequences. "Valid and important questions have been raised about the bill. It is intended to get at the worst of the worst offenders. As it now stands, however, it could sweep in more than just truly egregious actors. To fix this problem, definitions of who can be the subject of legal actions and what remedies are imposed must be tightened and narrowed. Due process, free speech, and privacy are rights that cannot be compromised," he said. The public backlash that preceded the BSA's almost dumbfounding support may also have led to the decision to question the group's motives. Many fiercely oppose the proposed new legislation, with Google leading the charge arguing it could be used to attack users' rights to privacy and due process. Without getting too far into politics here, its clear there has been either a huge misunderstanding gained from not reading into the bill in enough detail, or the public anger in response to its support has made them reconsider whether supporting SOPA in its current form is a good idea from a business standpoint. On the other hand, maybe both are true, in either case it is a rather spectacular turn of direction. "Due process, free speech and privacy are rights that cannot be compromised," Holleyman said, adding that the "BSA has long stood against filtering or monitoring the Internet." 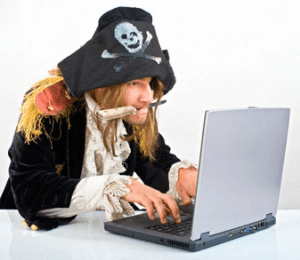 Many argue the bill will do just that should it become law, allowing the Justice Department and courts to order ISPs in the U.S. to block customers from visiting the numeric IP addresses of websites deemed to contain pirated content. Columbia University recently published the results of its Google-funded poll, finding that most American users want to see sites guilty of copyright infringement blocked.